The NES Classic Mini was a great idea completely botched by Nintendo’s poor handling of supply at retail. 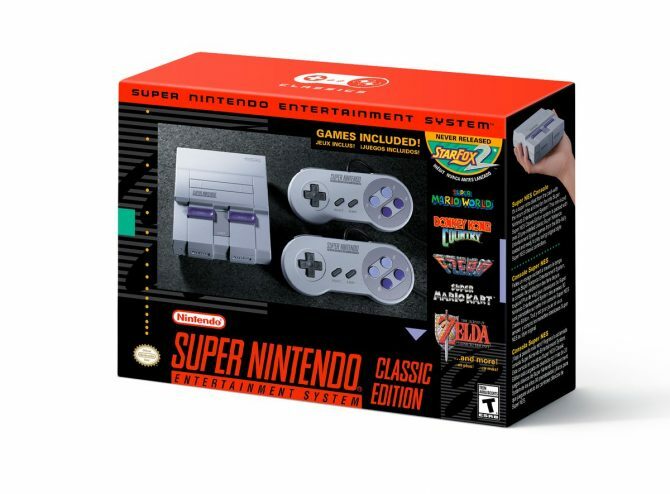 An SNES Classic Mini was long expected- in fact, there have been rumblings of it for a while now- and today, Nintendo made it official. The SNES Classic Mini will be launching on September 29 for $80, and holy hell, is the list of games that it will include incredible. Games will include all time greats including Super Mario World, Super Metroid, The Legend of Zelda: A Link to the Past, Final Fantasy 6, Earthbound, Super Castlevania 4, Donkey Kong Country, Yoshi’s Island, and the never before released Star Fox 2. The SNES is widely considered to be one of the greatest systems ever made- so the chance to relive its best games again on an easy plug and play solution is too alluring to pass on. We can only hope that Nintendo does not completely undermine the product with limited supply again this year.